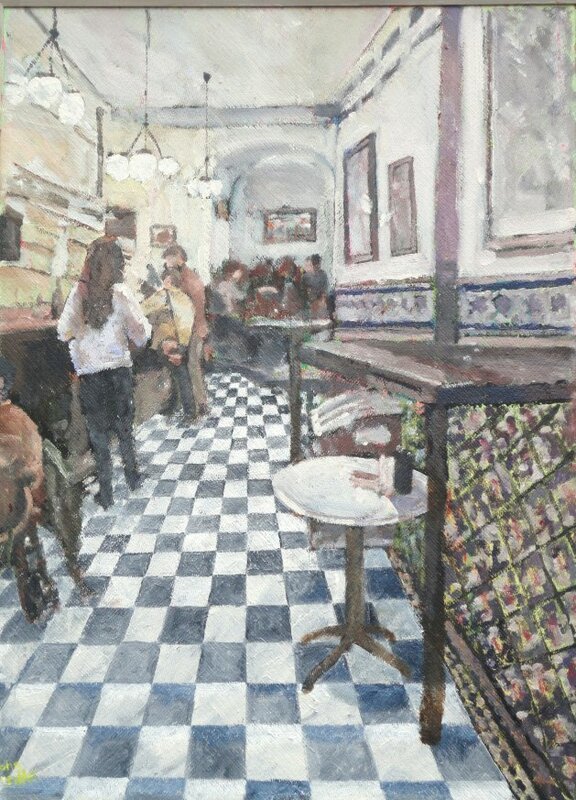 A busy Sevilla tapas bar with iconic Majollica tiles creating character and depth. This is painted in oils on board, signed, varnished, framed and strung ready to hang. The picture will be sent by Royal Mail 48 Hour Guaranteed Delivery and the artist will provide a tracking number.